Rides on the D.C. Circulator bus will be free from Monday, Jan. 28 through the month of February, Mayor Muriel Bowser announced. The mayor said the free rides are part of her Fair Shot February program. “We’re kicking off Fair Shot February by making it easier for Washingtonians to get where they need to go and connect to opportunities across D.C.,” Bowser said in a statement. This change was planned separate from any stopgap measures taken for furloughed workers during the shutdown. 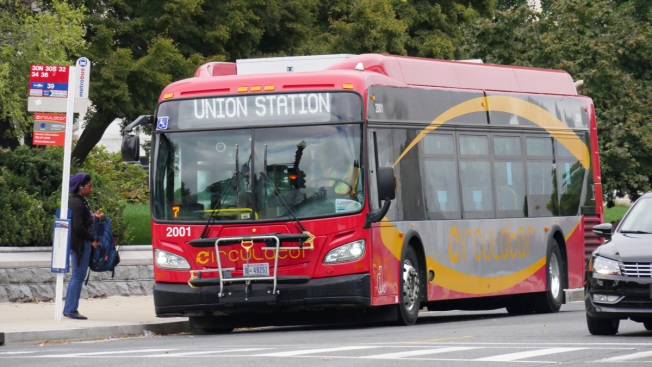 The Circulator buses are designed to act as a supplement to Metrorail and Metrobus, and have offered transfer discounts between the services in the past. Standard fare has been $1 per ride. The Circulator buses run six routes through downtown D.C. and into Rosslyn, operating roughly every 10 minutes. Go here to see where the buses run.